Not all kids’ Sci-Fi movies in the 1980s were light-hearted affairs and ‘Flight of The Navigator’, despite its humorous elements, has a darker tone than most releases of the time and is closer in style to Stephen Spielberg’s earlier ‘E.T. the Extra-Terrestrial’ (1982). This Disney film’s plotline turned on the mysterious disappearance and reappearance eight years later of a young boy, David Scott Freeman (played by an overly-winsome Joey Cramer, a child actor who’s career didn’t really outlast the ‘80s). At the same time as David is reunited with his family an extraterrestrial spacecraft crash lands after hitting some power lines and is being examined at a NASA facility by NASA and military technicians. When news of David’s strange story reaches the authorities they decide to bring the child to the base where he also undergoes examination, leading to the discovery of a strange neurological link between him and the spaceship. This later manifests itself as a sort telepathic communication between both, and the boy is drawn to ship, which gives him access to its hitherto sealed interior, where he discovers its on-board automated pilot named Trimaxian Drone Ship from the planet Phaelon (which David nicknames Max). The ship accepts the child as its ‘Navigator’ and obeys all his commands allowing them to escape from the NASA facility in search of David’s family. A series of cross-country adventures then take place, as do most of the comedic moments in the movie, as he tentatively flies the fantastic spacecraft across the United States (and into orbit and the ocean too), but soon the more sombre tones of the storyline return as David realises he can never truly return home to his family and makes a fateful choice about his future. Perhaps it is the darker edge to ‘Flight of The Navigator’ that has allowed it to stand up to the passage of time. Despite some overly cloying moments of sentimentality the storyline is dramatic enough in places to hold the viewers interest, and the acting and dialogue are of enough quality to overcome some of the limitations of the era it was produced in. While some of the narrative elements are fairly predictable or stereotypical (the caricatures of evil military officers and scientists for instance), much is still above par. The movie’s special effects have aged the best of all, remarkable considering that some of them (particularly the CG shots of the chrome spacecraft) were then innovative and cutting edge. 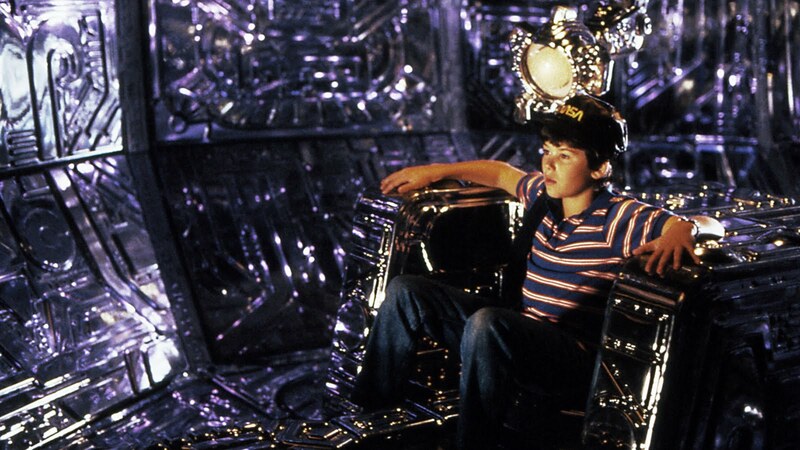 All in all ‘Flight of The Navigator’ is a minor Sci-Fi classic of the 1980s and its limited commercial success at the time should not distract from its enjoyable nature. Like many films of the era it catered for some of the wish-fulfilment fantasies of its mainly child audience – and that is perhaps why it has remained popular to this day. Several DVD editions are available, though none of any particular note in terms of extras. But then again, perhaps the basic movie is enough.